A fantastic place to spend a weekend, a week, or a month! Find our listing on HomeAway to book a stay. 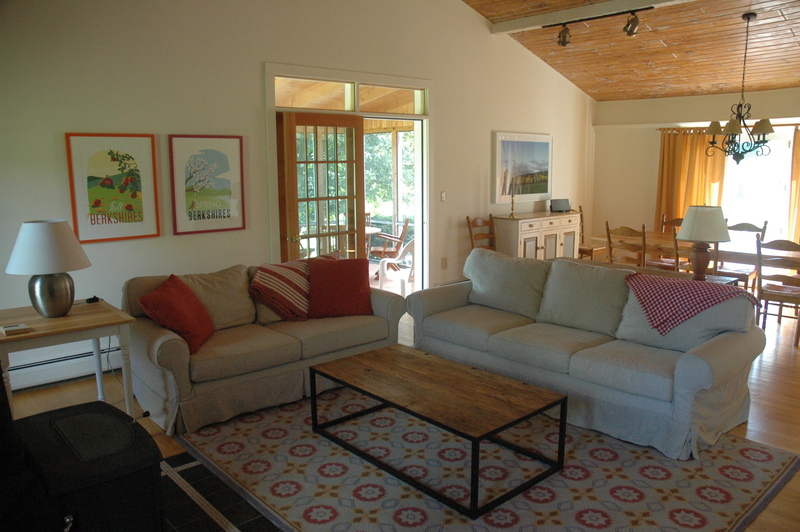 Newly renovated and furnished, this cottage has a fantastic kitchen and large farm table to accommodate the’ farm to table’ experience. 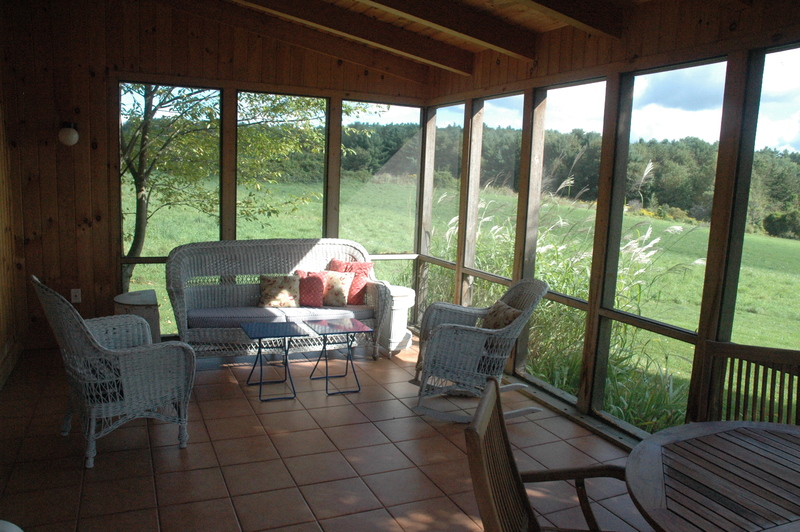 The Cottage is surrounded by acres of protected pasture and hay fields with a south/east facing deck and screened porch. Mayflower Farm is bordered by the Appalachian Trail and only 1 mile from the center of South Egremont, where there is a post office, school house, library, bank, country store, and fine restaurant. For booking, please visit our HomeAway site.